The cherry trees have bloomed, and temperatures are soaring. 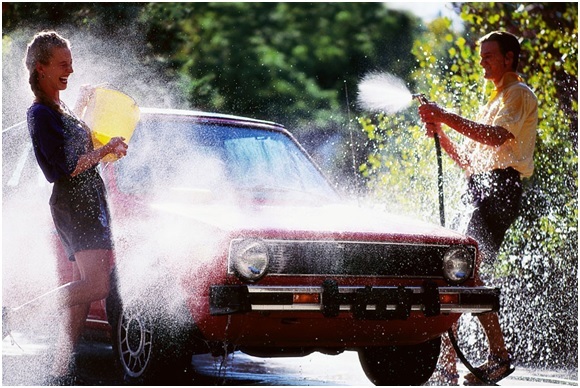 With the sudden arrival of summer, it’s time to do some spring cleaning on your car. In our last post, we talked about the spring maintenance necessary to the mechanics of your car. Now we have some tips on getting sparkly clean and smelly good. Wash only when the car is cool, and only in the shade. Sun and heat will making washing more difficult and case spots and deposit to form. 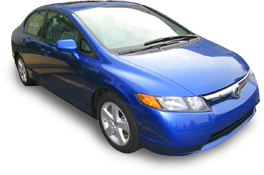 Use a specially prepared car detergent. Household cleaners are too strong to use on car paint. Rinse before washing to remove as much debris as possible in order to minimize scratching the finish. When rinsing off soap, do not spray the car. Instead,let the water flow gently from the top of the car to the bottom. This will create a sheeting action that will reduce the pooling of water. Wash in sections, starting at the top and working your way down. Use only a lamb’s wool mitt or a natural sponge. To avoid swirl marks, wash in lengthwise strokes rather than with a circular motion. Thoroughly rinse the mitt or sponge frequently, and use a separate sponge for the wheels and tires. Use two buckets — the first for clean, soapy water, and the second to rinse the dirty sponge. Use bug-and-tar remover and a non-abrasive cloth to remove grease, tar, and rubber deposits. Wash frequently. Atmospheric chemicals, dead bugs, and bird dropping can cause damage to the finish if left too long. Dry the car with a chamois or soft terry towels. Blot water rather than swiping the towel across the surface. Do not let the car air dry unless you like the water-spotted look. Remove smelly items and stains as soon as possible. Household cleaners are usually safe for cleaning stains or spills inside the car. Test in an obscure spot first. Stained or stinky mats? Remove from car, vacuum both sides, and shampoo. If they smell moldy, spray the back sides with a bleach solution, rinse, and allow to bake dry in the sun. Household room fresheners mask odor, but odor eliminators formulated for cars remove odors by chemically neutralizing them. Sprinkle baking soda on dry surfaces to absorb orders overnight, then vacuum. Do not put baking soda onto a wet surface. An open bag of coffee beans left in the car overnight will filter out odors.